Coeur d'Fondo will showcase beautiful Lake Coeur d'Alene and the forest, roads and scenery along Idaho's Scenic Byway; Highway 97, passing through the communities of Harrison and St. Maries; before finishing back in Coeur d'Alene at the fall Oktoberfest in downtown Coeur d'Alene. SAG Wagon and mechanical support. Entry into Coeur d’Alene’s Grand Oktoberfest (includes food, commemorative pint glass, refreshments, and beer garden). Raffle tickets towards awesome prizes from our sponsors. Fully stocked checkpoints along the route with water, electolyte drink and great selection of food and snacks. Bike and bag valet service. Scenic boat tour on majestic Lake Coeur d'Alene to Harrison for "Centro" (47 mile) participants. Scenic return boat tour on majestic Lake Coeur d’Alene for “Piccolo” (37 mile) participants. You deserve it & we'll provide it! Finishers Medals for all 84 mile and 108 finishers! Check out our Facebook page for design photos. If someone is picking up a packet on your behalf they must bring a signed liability waiver on your behalf. 1. 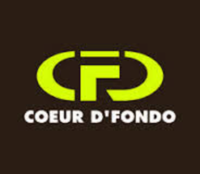 All registrations can be transferred to another person, but Coeur d'Fondo will not be responsible in any way for the transfer, collection or distribution of payment. 2. Transferring of registrations will only happen at the direction of the person currently registered, this must be sent by authorized email or done in person at packet pickup.... No exceptions!! 1. 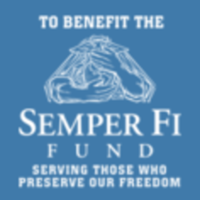 Medical crisis, military service, extreme family crisis: You can expect between 70% to 90% deferment based only on the director's discretion. 2. Job, moving, interrupted plans for any reason: You can expect between 30% to 70% based only on the director's discretion. 3. Late withdrawal, weather based circumstances, failure to show up for the event for any reason given after the event has happened: You can expect between 10% to 30% based only on the director's discretion. 4. Any other circumstances falling outside of these guidelines will be evaluated for merit and given a deferment based only on the director's discretion. We want everyone to have a great event, we do not want anyone to feel as if they have wasted their money. Please remember that this is a fund raising opportunity for the Centennial Trail Foundation, a nonprofit organization that uses all funding for the continued maintenance and expansion of the current trail system that we all love and enjoy.